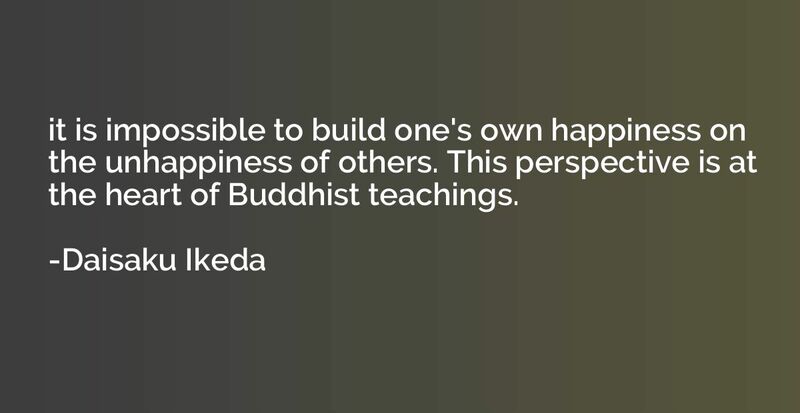 it is impossible to build one's own happiness on the unhappiness of others. 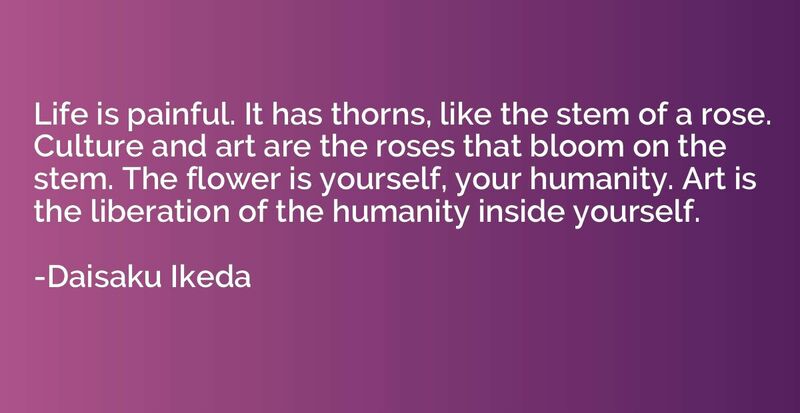 This perspective is at the heart of Buddhist teachings. Leave behind the passive dreaming of a rose-tinted future. 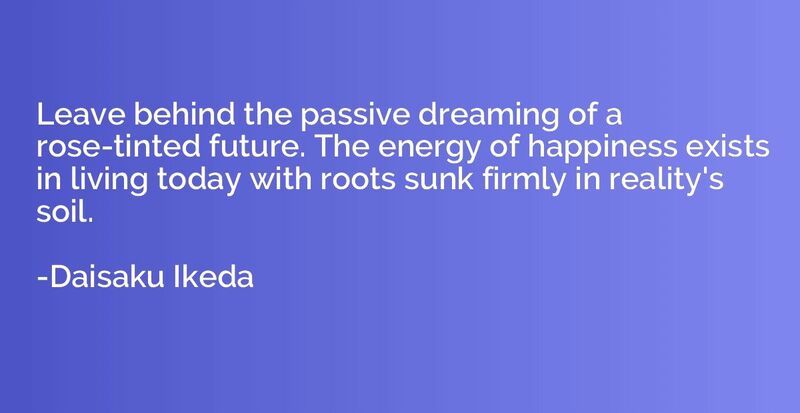 The energy of happiness exists in living today with roots sunk firmly in reality's soil. The institutions of human society treat us as parts of a machine. They assign us ranks and place considerable pressure upon us to fulfill defined roles. 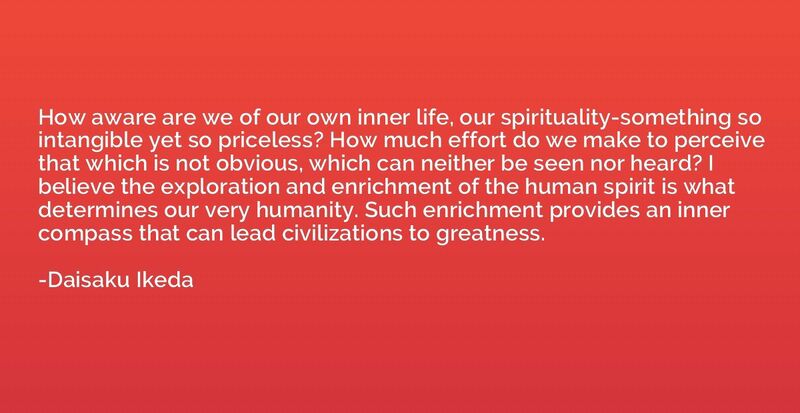 We need something to help us restore our lost and distorted humanity. Each of us has feelings that have been suppressed and have built up inside. 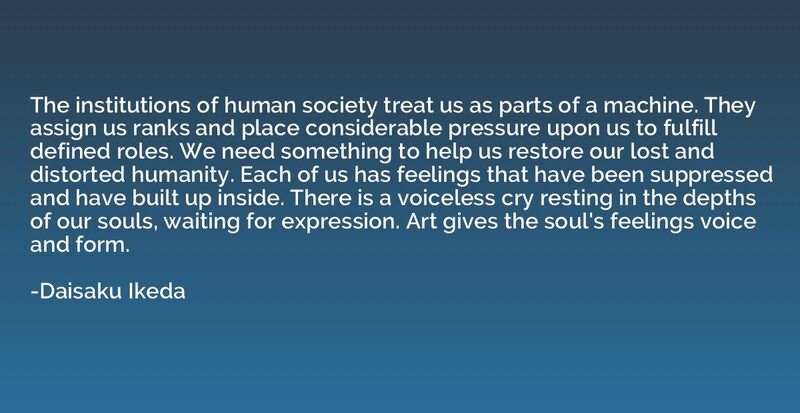 There is a voiceless cry resting in the depths of our souls, waiting for expression. Art gives the soul's feelings voice and form.